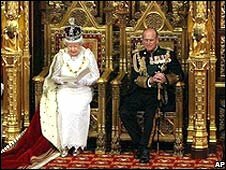 FishEaters Traditional Catholic Forums - Succession changes in the British Monarchy? FishEaters Traditional Catholic Forums > Church > Catholicism > Succession changes in the British Monarchy? Full Version: Succession changes in the British Monarchy? This should interest the Monarchists and Monarchy-enthusiasts among us.